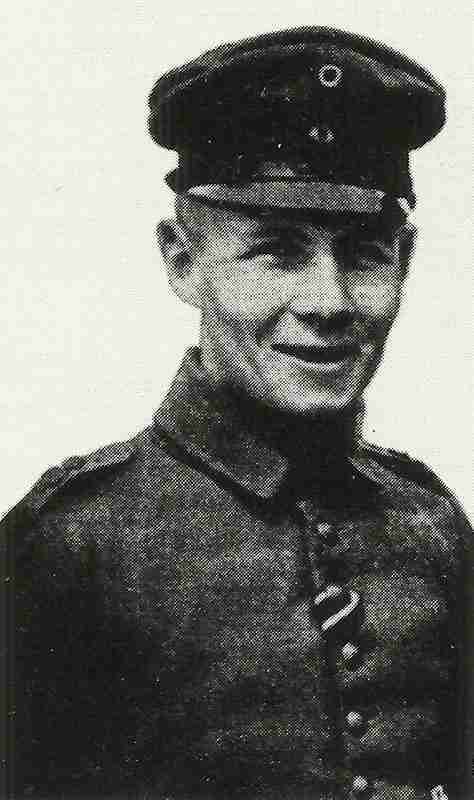 Erwin Rommel as young officer in World War One . Flanders: British repulse attack at Culnchy near La Bassee. BEF CoS Sir A Murray goes home, replaced by able QMG Robertson rather than French choice Wilson. Aisne: German attempt to cross river near Solssons. Argonne: ­Lieutnant Rommel wins Iron Cross 1st Class by capturing 4 block­houses with his platoon and beating French battalion counter­attack. Carpathians: Heavy fighting between Dukla and Wyszkow Passes; Russians giving way to German-Austrian Südarmee. Irish Sea: U21 (Hersing) shells Barrow-in-Furness and sinks 4 (3 British) merchantmen next day.